We all love fantastic food, but the fact is that we don't always have the time to cook it. 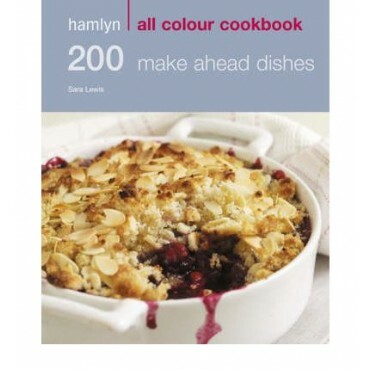 Hamlyn All Colour Cookbook: 200 Make Ahead Dishes shows you how to create beautiful dishes at your own pace, so that whenever you fancy a delicious dish, all you need to do is reheat and eat! From a simple Picnic Pie to an impressive Garlicky Chicken & Chorizo Pappadelle, this handy book contains over 100 tasty recipes to entertain effortlessly or simply give you the night off, plus more than 100 clever variations and new ideas. Every recipe is illustrated and includes clear step-by-step instructions, making them suitable for cooks of all abilities.